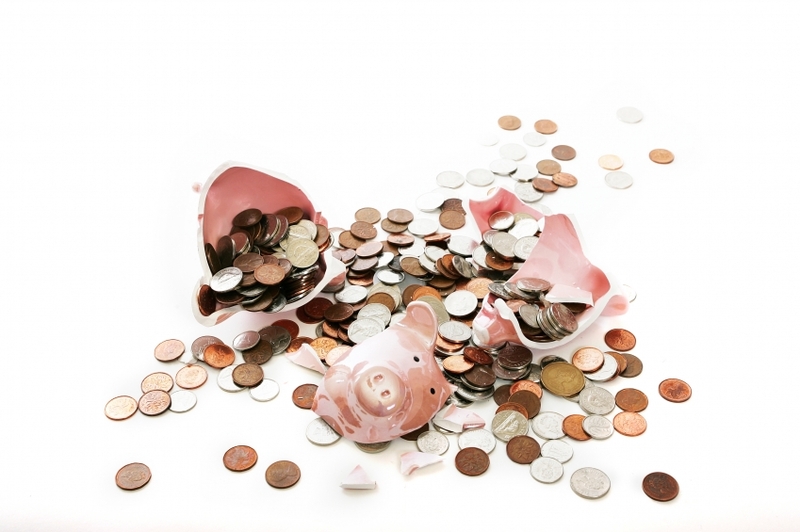 The city of San Luis Obispo’s unfunded pension liabilities have risen to $126 million, more than the rest of the cities in SLO County combined. After the bottom fell out of the housing market, the majority of cities in California tightened their budgets to work under reduced tax revenues while a few increased staffing and fees to residents, temporarily masking the growing debt. Over the past 10 years, while five SLO County cities eliminated staff positions, SLO and Morro Bay made significant increases in employee positions. As of June 2015, when the most recent figures were released, San Luis Obispo has more than $126 million in unfunded liabilities, while the other six cities in the county have a combined total of less than $118 million. 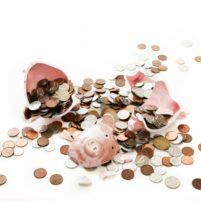 SLO’s pension liabilities total nearly $100 million more than Paso Robles, the city with the second highest total in the county. Grover Beach has both the lowest unfunded liabilities total, $9,134,117, and the lowest cost per resident, $694. Over the past decade, while most SLO County cities have eliminated staff positions, Morro Bay added 10 more employees and SLO budgeted for an additional 47 full-time staffers. Among the seven cities in the county, Arroyo Grande leads in the reduction of employees. In Nov. 2006, Arroyo Grande had 104 full-time employees, or 96 when excluding firefighters (Arroyo Grande is now part of the Five Cities Fire Authority). The city has since reduced its full-time staff to 73 employees. On the other hand, San Luis Obispo currently is budgeted for 396 full time employees. In Nov. 2008, it had 350 employees for a similar number of residents. The San Luis Obispo City Council’s votes for increased services and programs have led to the increase in staffing, according to city management staff. “Staffing levels over time have changed based on the council’s adopted goals and objectives such as neighborhood wellness, proactive code enforcement, open space management, as well as increased activity in development review and increased investment in capital improvement,” said Xenia Bradford, San Luis Obispo’s interim finance director. Every city in San Luis Obispo County participates in the California Public Employees’ Retirement System (CalPERS). The cities’ retirement accounts are funded by contributions from current employees and city general funds, as well as interest on the municipalities’ accounts. During the past few years, CalPERS investment returns have been minimal. And for the first time in the fund’s history, benefits paid out to retirees exceeded the amount of contributions in a trend trustees expect to continue, according to a recent CalPERS report. It appears there are not enough workers for the current pension program to be sustainable. CalPERS members as of June 30, 2016. 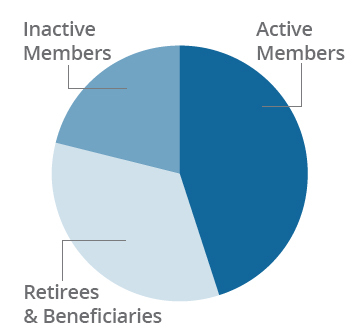 Inactive members no longer work for a CalPERS employer, but have credits towards future pension benefits. A decade ago, there were two workers paying into the fund for each retiree receiving a payout. That number has now fallen to one and a third employee paying into the fund for each retiree drawing money out. In the meantime, employees’ share of contributions to CalPERS has actually declined by almost 5 percent, while the share taxpayers are contributing has risen by more than 24 percent. And while many cities have reduced employee positions, by raising its number of staffers, a city can reduce the percentage of unfunded pension liability by increasing current contribution amounts. Some analysts believe that move will lead to a financially unfeasible pension obligation in the future. Compared to other California cities of its size, SLO tends to have a larger staff and more unfunded pension liabilities. SLO, which has a population of 45,119, has $126,035,536 in unfunded liabilities and currently 380 full-time workers. Of the four closest cities in population to San Luis Obispo, Ceres, a Central Valley city of 45,117, appears to provide the closest comparison. Both Ceres and San Luis Obispo have their own fire and police departments and a similar number of housing units. Ceres currently has 187 full-time employees and $13,266,900 in unfunded pension liabilities. However, Ceres uses a Stanislaus County pension system, which has recently earned higher investment returns than CalPERS. In Riverside County, San Jacinto has 44,119 residents, 36 full-time employees and $8,848,764 in unfunded liabilities. The city of San Jacinto laid off multiple employees over the last five years, and in 2016, it produced its first balanced budget in three years. While San Jacinto has a city police department, it contracts with Riverside County for fire services. The East Bay city of Dublin, which has a population of 46,036, has only 94 full-time employees and $10,915,217 in unfunded liabilities. Dublin outsources both police and fire services. Though the census lists Palm Springs as having a similar population as San Luis Obispo, it has nearly twice the number of residential structures. Because Palm Springs provides housing and services to many seasonal residents who are not included in the U.S. Census population totals, it is not comparable with SLO regarding city staff obligations. Even so, with a population of 44,552, 400 full-time employees and $132,459,431 in unfunded liabilities, its staffing and pension liability amounts closely resemble SLO. San Luis Obispo management personnel said they are committed to paying off the city’s unfunded liability over a 30-year period, as required by CalPERS. Since 2014, the city has allocated $2.7 million beyond its required CalPERS payments in an attempt to reduce SLO’s unfunded liabilities. Nonetheless, SLO’s unfunded liabilities increased by more than $13 million from June 2014 to June 2015. Meanwhile, the percentage of funded pension liability decreased. Assistant City Manager Derek Johnson said the city plans to continue to use city revenues to help cover the shortfall in its pension liability fund. “The fall is a concern for all CalPERS agencies and as stated above does remain a city priority for the use of one-time funds to address this liability,” Johnson said. In the 2015/2016 fiscal year, CalPERS performed even worse, earning a return of just .6 percent on its investments. The poor performance will likely cause SLO’s unfunded liabilities to rise again despite the city allotting funds to reduce its unfunded pension liabilities. Paso Robles is the only local city, in addition to SLO, that has a funding ratio below 70 percent, a sign that a troubling amount of liability is accruing. The weighted average of Paso Robles’ funding percentages is slightly above 68 percent, according to CalPERS. SLO has a weighted average that is slightly below 65 percent. The other cities in the county have funding percentages that are in the low to mid 70s. Steven Frates, a municipal finance analyst, previously told CalCoastNews anything below 70 percent is a matter of acute concern. But, anything below 80 percent is not good, either. Due to rising unfunded liabilities coupled with the requirement to pay them off, SLO’s minimum payment to CalPERS is increasing yearly. CalPERS projections from June 2015 estimated SLO’s minimum payment in the 2016/2017 fiscal year would be $11.7 million and its minimum payment in the 2017/2018 fiscal year would be $12.3 million. SLO officials say the introduction of second and third tier pension benefit systems are helping reduce costs. In recent years, new hires have joined pension plans with slightly smaller benefit packages than employees hired in the past. However, a significant impact likely will not be realized in the near future. Current retirees are continuing to receive their pensions as initially structured, as will most current employees when they retire. A new San Luis Obispo mayor and two new council members are set to be sworn next Friday. None of the incoming council members campaigned on platforms of fiscal reform. Thus far, Mayor-elect Heidi Harmon has not publicly discussed the city’s pension liabilities. Do you hear the Bomb under the park bench about to explode in the “happiest City in the Country”. Maybe it is happy because the Government Industrial Complex has robbed the Tax Payers. Don’t worry….the Illegal Immigrants will make up the Tax payment difference…. No one should be surprised at these numbers. The people we elect to all government boards in California are not concerned with fiscal responsibility. Most elected officials are employees of the state county or city and therefore included in the PERS system. Until we start electing fiscal hawks who care about finances this will continue. So when the candidates for whatever the next election start telling you what their priorities are, we must pay attention. If they are more concerned with making others pay their fair share, or climate change, rest assured they are not interested in balancing the pension system. This will continue until the state, county and/or city decades a fiscal emergency, then they will raise taxes. The irony is, the “good people” of San Luis Obispo just cannot wait to vote themselves additional taxes. My theory was, there are too many who are reliant on government in such elections. Cakes and circuses, indeed. An interesting story/investigation would be discovering if there are a disproportionate amount of vote-by-mail (VBM) ballots cast for increased taxation / democrat ideologues (e.g. Hill, Marx, et. al. ); for it is another theory that it is easiest to cheat with VBM ballots than anything else. The SLO Property Owners have been trying unsuccessfully to put this on everyone’s’ radar for ten years or more. Where do you think the Measure Y money went? And Measure G? The city actually owes closer to $150 MILLION when you add the “side fund” for police and fire, and don’t forget another $92 million in other long term debt like bonds. But in the meantime we keep adding positions and passing along more fees, fines, surcharges, etc. and staff doesn’t care because they will be long gone before the inevitable Day of Reckoning and meanwhile they keep the Council in the dark. Municipal finance isn’t the easiest, lightest read but it is far more important than pretty utility boxes and trash can police. Why do you suppose the city is approving every big development that comes along? It’s the fees! What do you suppose is the real reason behind the (illegal) Rental Inspection Ordinance? It’s all about the money. And don’t forget Community Choice Aggregation, where the city will be your electricity broker and take another cutoff that money. And annual fees on property owners in the Laguna Lake area for the benefit of living near the lake. And $500 fines for not having a dog on a leash. And on and on. A few suggestions: cut all managerial positions pay by 10%; no new hires; make employees pay more of their share of health insurance, retirement, etc. ; eliminate car allowances, cell phones, NO overtime for police and fire; NO raises within three years of retirement age as this majorly increases retirement liabilities; contract out some services like legal services; no benefits for part time employees (there are closer to 600 Full Time Equivalent employee positions when the part timers are included, and many of them get benefits); eliminate any new positions of the past three-five years as we lived quite well without them for over 150 years; sell surplus property; and ask citizens how we can cut government spending and reprioritize to eliminate this debt. But don’t expect anything but excuses from city staff as to why none of this can be done. If they have better ideas I’d sure like to hear them. Are you listening Heidi et al? Amen. The people had better wake up as you are correct with your observation. As an added note we all just hit with another additional tax disguised as a PG&E rate increase. Yes, PG&E has agreed to “give” another $10,000,000 to SLO county and the cities, they are the government. The gift will be coming from a rate increase. It would be very interesting if these unfunded accounts were to be interjected into the county’s and cities annual budget? That certainly would start getting some attention because these are bills that are due and need to be accounted for and not just put on the shelf for some further day down the road. This would really expose the failure of our local governments in protecting themselves with all of their high salaries, benefits and perks. Maybe the people are starting to wake up as Measure J has failed. You can watch the budget all you want and you will see the “new: money injected. Because they will do is the same as what the schools have done, take existing funds that have been spent likes say on building maintenance and use the saved money for pensions and benefits and then come back in a couple of years and say we don’t have enough money for building maintenance and now we need a tax increase (Measure Y and G are great examples of how this works) or more bonds (the schools scam game) and again the taxpayers will be paying more. Mean while, the money from the taxpayers (PGE) should only be used for ONE TIME PROJECTS because it can not be substained. Personally, I think it should go into a reserve account to be used ONLY for future offset of property tax revenue since that is what the City will be directly loosing. Don’t worry, though, we are talking government and they will once again screw the taspayers however they play their scam game! These funds swallow up a great portion of the budgets and revenues. Both funds are in major trouble but let’s me clear, the CalSTRS is even worst off than the CalPERS and the schools are taking maintenance, structural and upgrade funding and using it to fund the teachers union retirement benefits and then as the schools deteriorate they come to the taxpayers with these tax bonds and we continue to give then more for a failing system Look at Paso, they now have 3 tax bonds on their citizen’s property tax bill, and then, with the bond just approved they announced this week a $10 million aquatic center will be build. Not one word about this until Measure M passed. Lucia Mar has two tax bonds on their property tax now and of course we have the bond on our property tax bill for Cuesta College in 2014 because they are doing the same thing… no money in the budgets for maintenance, growth structures, upgrades. How many of you would run your household like this and yet we pay these bloated crooks awesome salaries, benefits and retirement to screw us. We deserve what we are getting from our crooked government!. In private industry no one is getting these salaries, benefits and retirement packages. This is the public’s fault, you can’t blame Gov for helping themselves to your money when you allow them to. We the public will pay big time for our negligence. Ask yourself about the public meetings you have attended and challenges you have made on Gov’s public budget proposals. This is why there is a second and passed unanimously. Oh then there is the public trust, ha, give me a break! They represent what we don’t do and pay themselves, by comparison to other like jurisdictions, as they should in an open and honest taking. Sounding like adverse possession?, if there is not a remedy to get it back then it certainly is similar. Looks like SLO has its own swamp to drain. If anyone else were do this they would go to prison for ponzi scheme. And instead Katie just goes to Beverly Hills, hopefully soon permanently instead of 5 out 7 days a week. Guess this mean no Christmas bonuses for city employees this year, wrong, it just means it will need to be hidden under some other form of payout. And to Hedi Harmon, for one of your first things, go ahead and change the “Holiday” parade back to a “Christmas parade”, and put the city flags at half staff for veterans, enough already.